A beautiful moment captured by photographer Adam Tun-Aung. 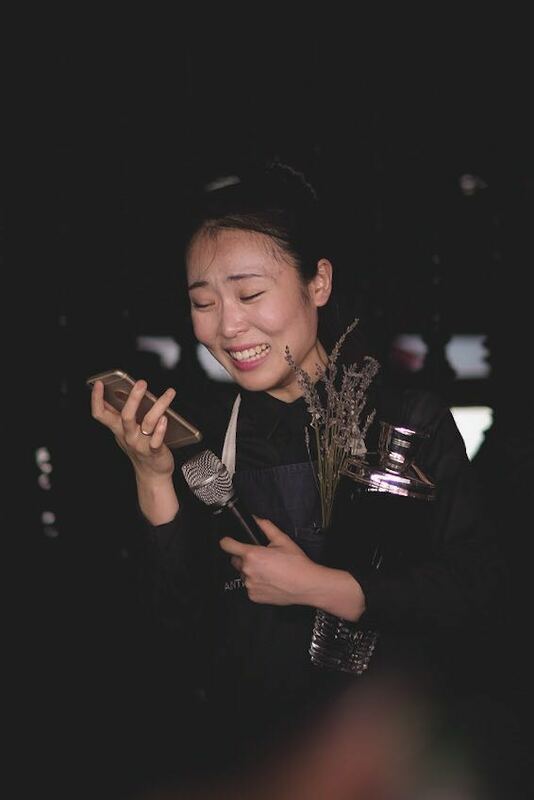 Upon giving her speech, Bannie Kang (Anti:Dote) called her mother up to tell her about her win at the Legacy Singapore Finals. Thank you for inviting me to host this year's Bacardi Legacy Singapore 2016 Finals! It's always a pleasure to host or attend these increasingly visible cocktail competitions around the world. I find it heartwarming to see the camaraderie within the industry, and to see familiar faces again and again, always supporting one another, no matter who the host-brand is. 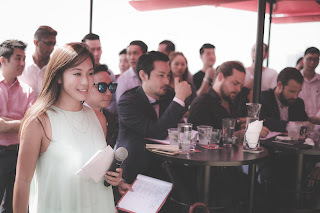 Today, the Singapore Finals were held at Ce La Vi under the strong 2pm Singapore sunshine. 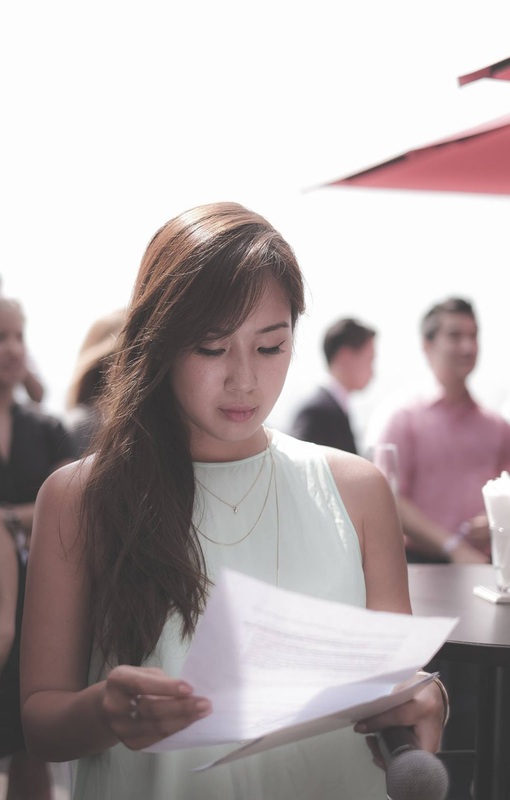 The judges and finalists were dressed to the nines, carrying their dapper suits with grace despite the heat. A big congratulations to all the finalists! They all did spectacularly. Today established who will represent Singapore in the Bacardi Legacy Global Cocktail Competition in San Francisco next month. This is Singapore's 2nd year entry in the global competition. 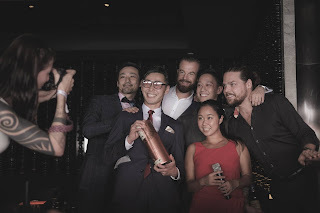 Over the course of 3 months, these 5 amazing guys and gal have been driving awareness and buzz around their cocktail. They have just been judged on their cocktail promotion plan which includes inclusion on cocktail menus, pop-up events, training, social network promotions, etc. 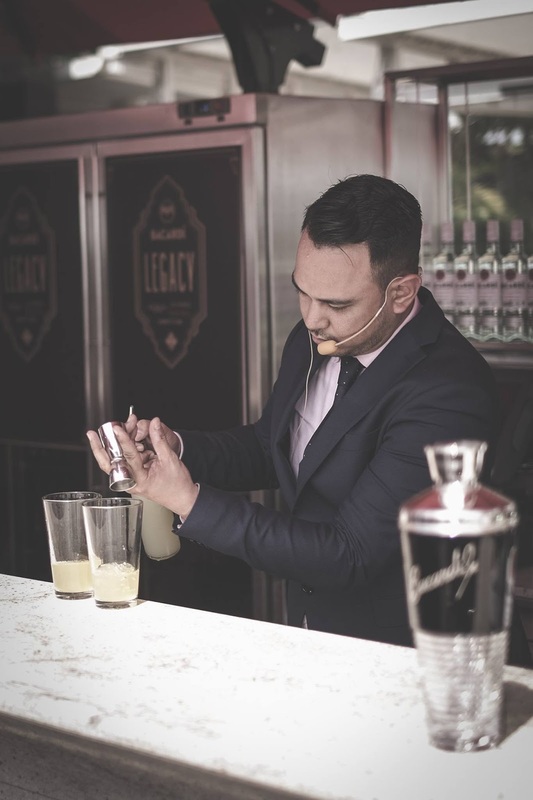 Each Finalist had 2 minutes to set up and 7 minutes to present their Bacardi Legacy Cocktails. 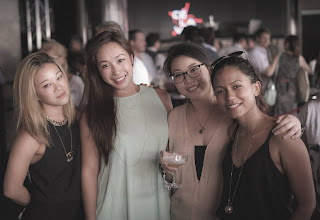 Special thanks to Caryn Cheah, the Trade ambassador for Bacardi-Martini Singapore who organized this event.